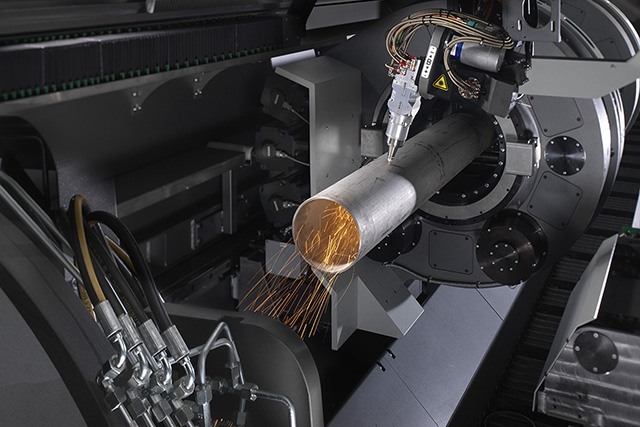 With state-of-the-art 3D laser cutting technologies, we can eliminate several costly operations in one go, including drilling, sawing, milling, counterboring and punching. At QuickTube, the entire process is performed in one go, saving customers up to 50% of the usual amount of time required for the assignment. With this in mind, we feel confident in saying that this is the future of our industry! 3D laser cutting produces exceptionally homogenous and precise results which facilitate post-processing flows and, in turn, significant savings in our own manufacturing. QuickTube offers laser cutting of a large variety of materials, using 3D and conventional laser cutting technology. Whether a task calls for counterboring or an assembly kit with a framework in square workpieces or tubes, laser cutting is the best choice. The end result is always beautiful workpieces with precise corners and edges.